The cold-blooded murder of 26-year-old Robert Ramirez on June 23, 2012, is only the latest incident in a long history of police brutality in our community. Every day in our barrios, workers and youth are subject to state violence which comes in the form of insults, beatings, profiling, harassment, frame-ups, and murder. In Oxnard, we’re surrounded by modern-day slave plantations while our working-class communities are plagued by poverty. Meanwhile, cops who don’t even live in our neighborhoods patrol our streets like an occupying army, controlling our movement and flow of life through checkpoints, curfews, tickets, and injunctions. The Oxnard Police Department, the largest and most violent gang in the region, exists for the purpose of spreading terror throughout our neighborhoods and barrios by relying on violence and incarceration for the purpose of keeping our people in line, obedient, and oppressed. Some people say that the community is to blame, and that gangs and street crime justify the brutal police presence on our streets. This is a slave mentality reflecting media lies that slander all of our youth as potential thugs, junkies, and criminals. Drugs and street crime are real problems, but the root cause lies with the system itself. Instead of spending our tax dollars on schools or creating jobs and services, politicians have used the police to criminalize and incarcerate some of our most talented youth, ripping apart our community’s social fabric. Our community must step up and take the lead in fighting for our dignity. NO JUSTICE, NO PEACE. We have absolutely no reason to peacefully submit to being brutalized or subject to abuse. Things don’t have to be this way: it’s our duty and our right to organize our communities to stand up and build our strength to put an end to police brutality! 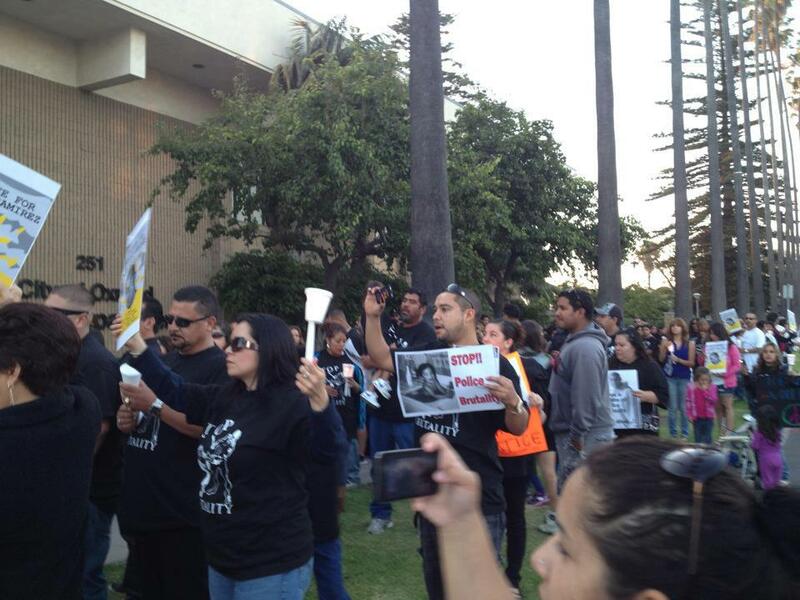 ACCOUNTABILITY BY THE OPD: Killer cops, off our streets! TRANSPARENCY: We need Civilian Complaint Review Boards NOW! Final Appeal to Assemblyman Das Williams (D-35): Support the CA Trust Act!